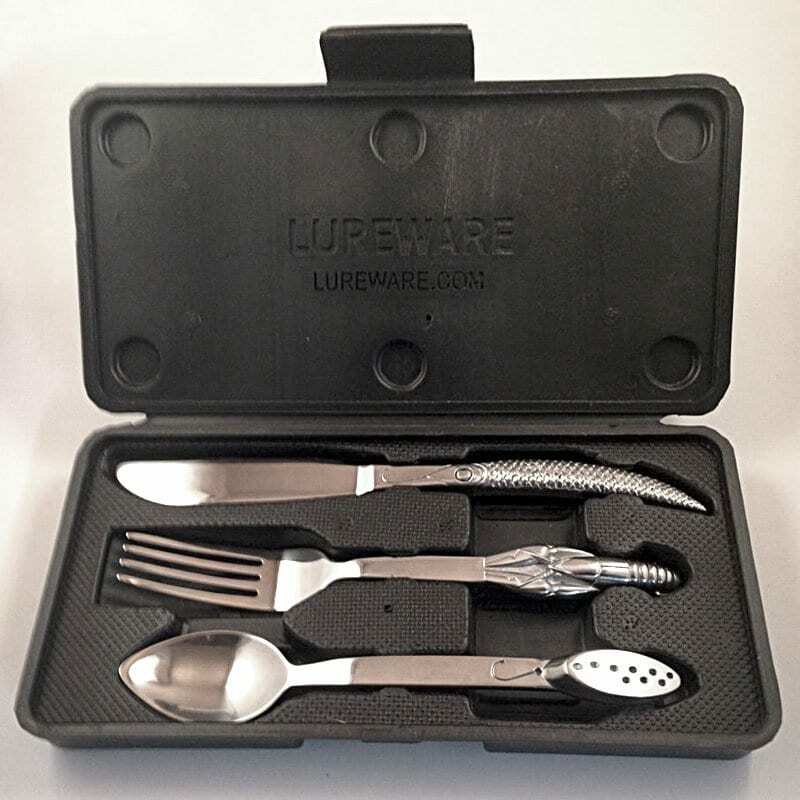 The 3-Piece Lureware Set is a fisherman’s variant of our 8″ Wrenchware Set. 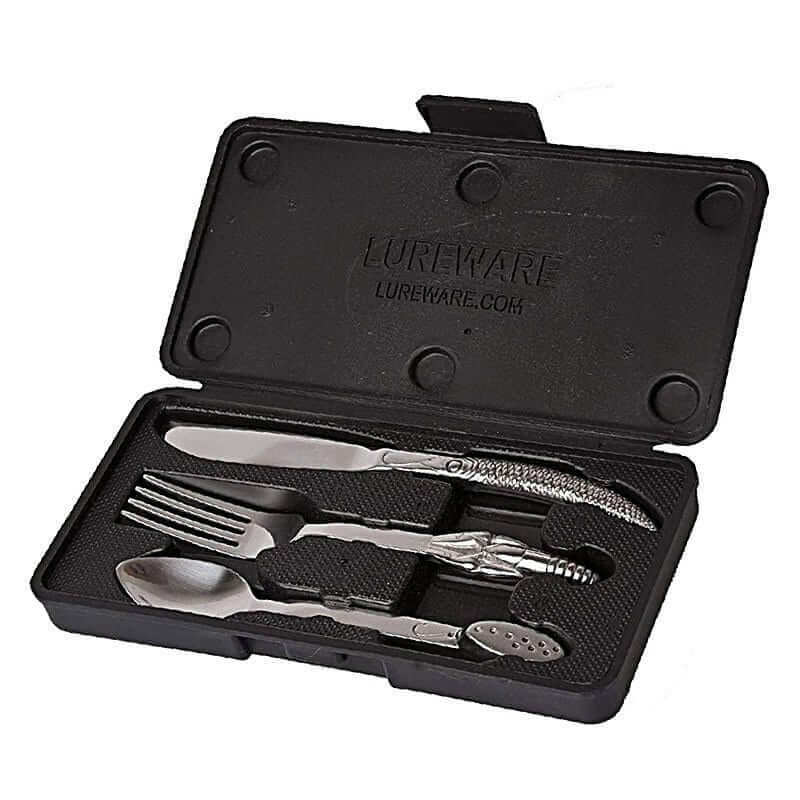 Each piece is quality 18/10 polished “drop forged” stainless steel and the set comes in its own individual blow-molded heavy duty ABS plastic box, suitable for tools. Each item is light enough to be used as tableware, yet strong enough to be used as actual tools. Each piece is approximately 8″ long, with the case measuring at 8.75″. 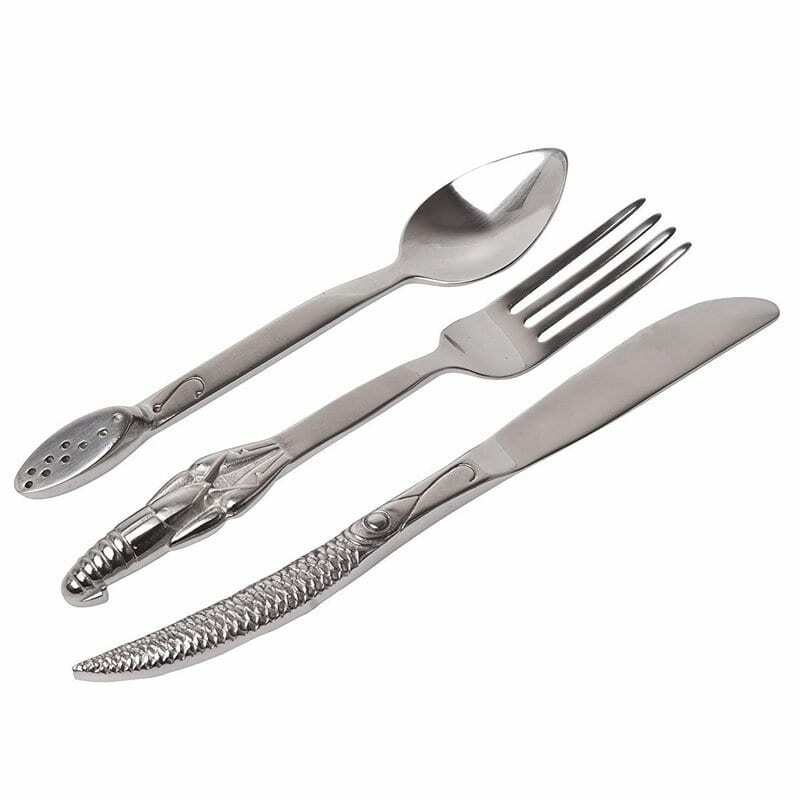 The fork has a decorative crawfish lure for a handle, the knife has a minnow, and the spoon is, appropriately, a spoon lure. 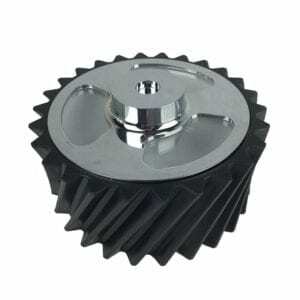 Please consult our Dishwasher & Microwave Safety page before using our products. 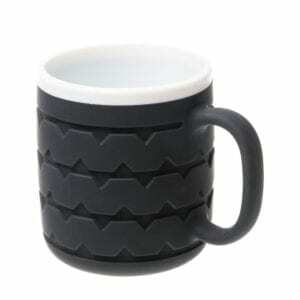 I just received these in the mail! 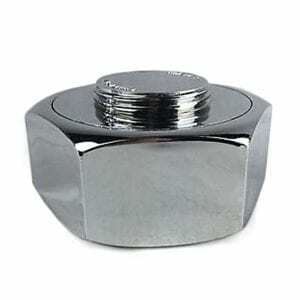 They look great and seem to be high quality. I am giving as a gift so I have not used them but I think my little fisherman will love them! 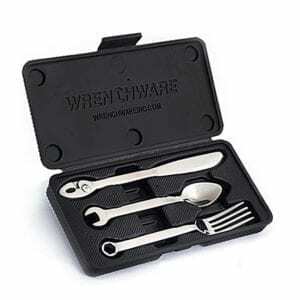 Wrenchware is the official makers of the popular tools that you can eat with! 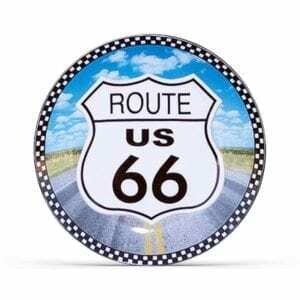 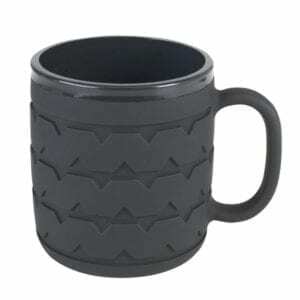 Are you looking for the perfect gift for that person who has everything? 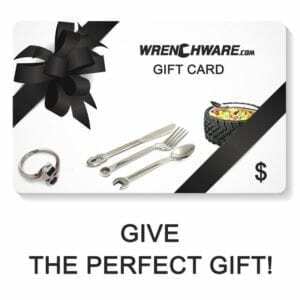 Wrenchware offers an awesome line of unique products that would make the perfect gift for any gear head or mechanic! 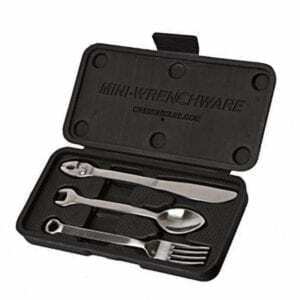 Wrenchware is known for their high quality tools that you can eat with, but also offer Cups, Glasses, Bowls, Plates and Jewelry.